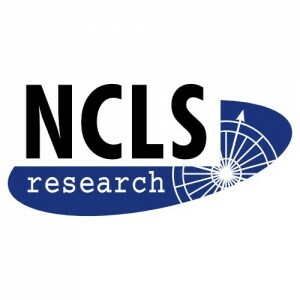 How has your church joined the discussion on the results of the National Church Life Survey (NCLS)? What will be your response as a church? As leadership? – to the challenges of evangelism and church planting? After successful tours of Australia in 2010 and 2013, Crossover is pleased to announce that Dennis Pethers will be joining us again for a 2014 tour. Dennis will be conducting a range of meetings with church leaders and churches in WA, VIC, SA, TAS, and NSW. In addition Dennis will be joining us again, as guest speaker at the second Emerging Evangelists Conference in Melbourne in October, 2014. Dennis is the founder of Viz-A-Viz Ministries and International Director of“More to Life”. He grew up in the East End of London and for the early part of his life knew nothing of church, Jesus or the Christian faith. He discovered the amazing truth about Jesus whilst reading ‘Mere Christianity’ sitting on a train outside of Liverpool Street Station. Since coming to know Jesus, Dennis has travelled extensively across the UK and around the world telling people about Jesus and equipping churches and Christians to engage in effective evangelism. Dennis is an author and creator of numerous creative resources that are being been used by churches to help people discover the truth about Jesus. He has also written and presented a number of evangelistic videos, with the recent ‘More to Life’ DVD selling, 100,000 copies in the UK alone. In 1993 Dennis founded Viz-A-Viz Ministries, an organisation committed to ‘Relevant Communication of the gospel to people today’. Now, through its various ministries huge numbers of adults, young people and children are being reached every year through creative and effective events using music, drama, visual media, and speaking that connects with the unchurched. As International Director of More to Life, Dennis speaks at Church Leaders Conferences, and a variety of other events all around the world. He works in close partnership with Lifeway Christian Publishing in the US, and with numerous networks of leaders in many parts of the world. He also worked closely with Premier Christian Media in the UK, presenting a weekly show on Premier Radio – ‘Wind of Change’ and having significant input and direction into the evangelism aspect of ‘Premier Love London’. Dennis communicates the message of Jesus with passion and clarity. Always ‘down to earth’ he is known for his ability to present the truth about Jesus in ways that make sense to people who are not familiar with church. He has a passion that the church in the western world will rediscover what it means to live for Jesus and impact lost people with the great news of the gospel. Click here to watch the promotional video or download the brochure: 2014 Mission Summit Brochure corrected. SA – 4D Leadership Conference, Saturday 18th October 2014. VIC – Balwyn Baptist Church, Thursday 23 October 2014. Pastors & Ministry Leaders Event and an Open Session. 141023Dennis PethersThe Rooftop v2. NSW – Epping: (Invitation Only) Pastors Luncheon, Friday 24th October 2014. Contact Pete Davies for information. Wyong Baptist, Sunday 26th October – 10am Service, Evangelistic Sermon. WA – Yokine Baptist Church, Thursday 30th October 2014. Emerging Evangelists Conference (VIC) : 21-22 October 2014. The purpose of the Emerging Evangelists Conference is to affirm, invest in and equip emerging evangelists in each State who could benefit from getting together with other experienced evangelists who can offer mentoring and essential experience. The vision of the conference is to raise up a new generation of evangelists, people who will make a difference in their region. Attendance is by invitation, more information can be obtained from your State denomination.